At McLaughlin Construction LLC, we are focused on providing home improvement and construction services with the highest levels of customer satisfaction. Tom and company will do everything we can to meet your expectations. Over the last 25+ years, Tom has successfully managed dozens of projects, ranging from building houses and whole house remodels to replacing doors and windows. He has kept well educated on current best practices for building and remodeling, particularly concerning energy efficiency. 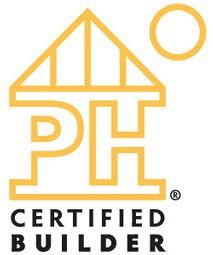 Tom is an International Code Council (ICC) certified builder and holds Passive House Institute U.S. (PHIUS) certified builder status as well.